Many of you may remember the OCNA Blogger, Mr.Yuck, did a “WashKnight Interrogations” blog post last month. 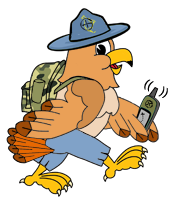 He answered 20 standard questions about his caching antics, thought up by Geocaching blogger WashKnight, as did many other Geocaching bloggers all over the world. 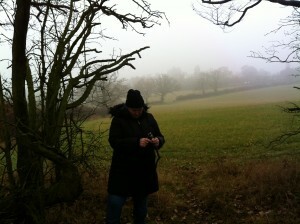 We linked to WashKnight’s Geocaching Blog, and some of you might have clicked the link and checked it out. But did you notice the title of the blog? WashKnight – Geocaching Blind? WashKnight, AKA Paul Weston, is a legally blind Geocacher. Above you see him climbing a tree while Geocaching. He says “Yes, that is me climbing the tree. Being blind doesn’t mean you can’t do dumb stuff like everyone else.” We thought it was very interesting and inspirational that Paul is a blind Geocacher and blogs about it as well! We asked him if he wouldn’t mind being interviewed about it, and he was happy to take the time to answer our questions. 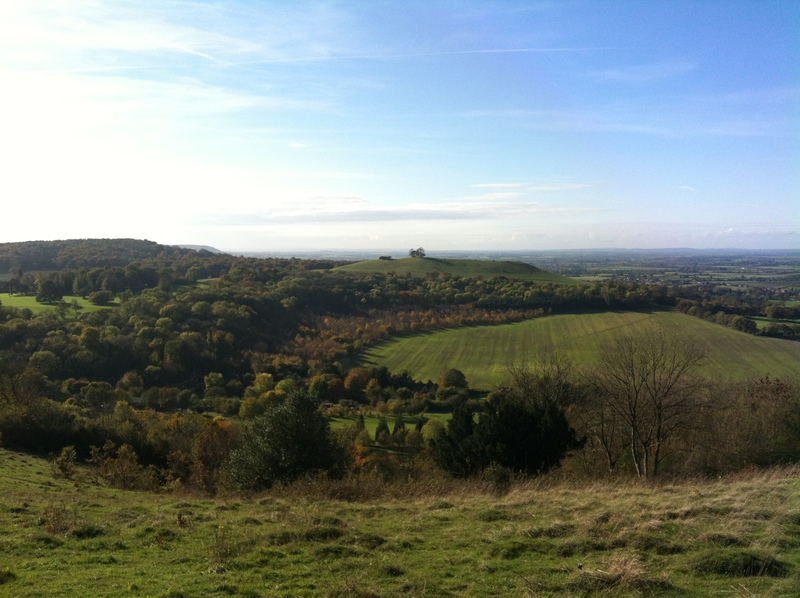 2013-10-30 Coombe Hill view. 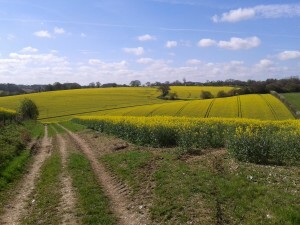 A most memorable photograph not only for the scenery but also because this is taken from the GZ of the oldest geocache in England. OCNA: Where are you from, how did you first hear about Geocaching, and when did you start? 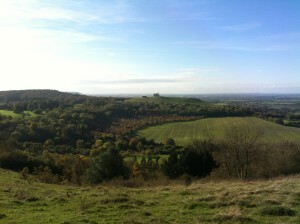 Paul: I live in Watford, a town in the county of Hertfordshire which is around 15 miles to the North West of London. I first heard about Geocaching in June 2013 when my son, Sam, who was 9 at the time brought home a book from school that was all about how important numbers are in understanding maps and scale etc. There was a paragraph in the book about geocaching and it immediately got my attention. I think it appealed to the geek in me and I was soon looking it up on the internet. Later that week we went out in search of our first cache which was supposed to be hidden near a tiny branch line railway station, but we had no luck. After two visits we gave up and tried another local cache which we found and from then on I was hooked. We later found out that the cache at the railway station had gone missing, but we did manage to log it eventually when it was replaced although it has now sadly been archived. 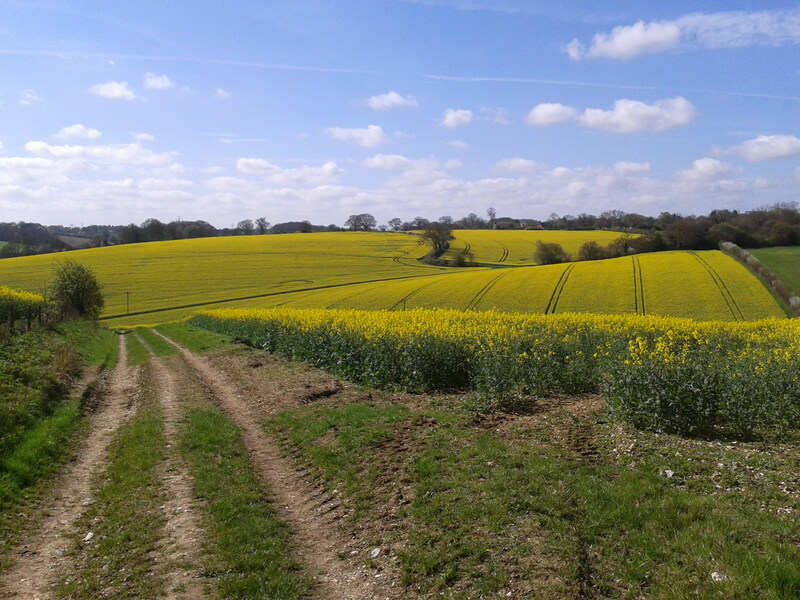 2014-04-09 Hockeridge – View from top of hill across fields I have enough sight to realise that when you get to the top of a hill there should be a view and sometimes it is pretty spectacular, oh England’s green and pleasant land. OCNA: We understand you were born sighted, but became legally blind later in life? How would you describe your remaining usable sight? Paul: I would say I have around 15% of the vision of a fully sighted person. I have very little definition in my vision and the contrast and brightness of what I see is very poor. I tend to see shapes and light and dark. I can detect obvious movement of things but cannot read anything on a mobile phone, computer, printed book or signs. I could possibly notice a person shaped blur was standing in front of me if the light was right but cannot see any facial features or have any sense of what you look like or what you might be wearing. I tend to rely much more on my hearing and touch and treat my sight as a peripheral sense these days. OCNA: It sounds like a lot of planning goes into your Geocaching excursions. Can you describe that, and some of the tools you use? Paul: I use my iPhone placed under a CCTV magnifier to study maps. To give you some idea how this is helpful to me, the magnifier allows me to enlarge the screen of the iPhone so that elements on the screen are many times bigger than they appear on the phone. For example, the letters of a word on a map on my iphone appear about 4 inches high when viewed through the CCTV device. I can also adjust the brightness, contrast and invert the image forcing all colours to either black or white and then reversing them so that a map will appear to me with the background as black and the elements, like roads and footpaths and caches, as white. This makes it a lot easier for me to browse the map and search for caches although it requires a lot of concentration and still takes me a lot longer that it would a sighted person to plan their adventures. My iphone talks to me using the built in Apple VoiceOver function and whilst this doesn’t help for maps, it does allow me to easily examine the description of caches that I am considering selecting for us to do. Once I have chosen the caches I then need to load them into an app called Ariadne GPS which is designed for Visually Impaired people to help them navigate around, generally in urban areas, but I am able to use it for navigating to caches when out and about. 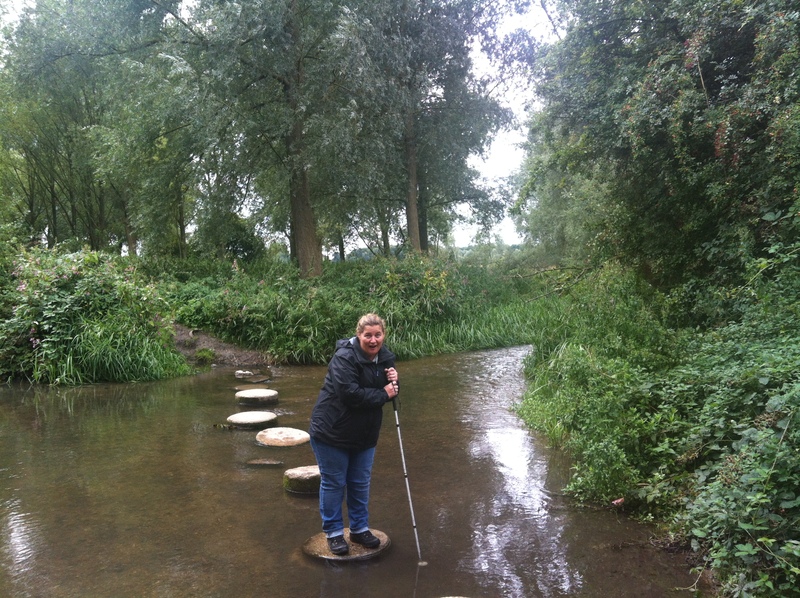 2013-09-11 10 Ver Valley walk, Sharlene on stepping Stones. What one person considers challenging another might think of as child’s play. It was a real achievement for us to make it across these stepping stones. I love this picture because it reminds me of how caching gets us doing things we would never normally do. OCNA: You have a guide or guides most of the time when you go Geocaching? Paul: Yes, we generally cache as a family – my fiancé Sharlene and our son Sam and I. And so there is normally someone to guide me. When walking between caches depending on the terrain one or the other will guide me or if it is safe enough then I walk on my own, following their sound or blurred shape ahead. Moving freely like this is something I really enjoy and being out in the fields and woods away from the dangers of traffic and other obstacles it is possible for me to do this. Of course there are lots of hazards but Shar and Sam are always looking out for me. When we get to GZ it is pretty much everyone for themselves. They will give me a run down of what is around and then off we all go in search of the cache. I do tend to end up tangled up in a lot of bushes and trees but I do also manage to find my fair share of caches too. OCNA: But you have found a few Geocaches on your own without a guide? Paul: To date of the 830 caches we have found I have claimed 3 entirely on my own from home to GZ and back again. These were all urban caches, as travelling to the cache on my own is only possible in an urban environment where I can use Navigon, a walking sat nav, app on the iphone to direct me street by street to the GZ. Once at GZ I have to have a good idea of the hide beforehand, for example if the hint is very obvious like “on telecoms box” or “on back of sign”. Finding those 3 caches was a massive achievement for me and something that I am very proud of but the amount of planning involved for a solo geocaching adventure is 5 times that of when we go out as a family so it is not something I plan to do too often. OCNA: You usually take most of the photos for the team while out caching? Paul: Yep. I know it sounds totally nuts but it is true. I have always liked taking pictures as far back as I can remember and the thought “would this make a good picture” is always lurking in the back of my mind. In the future our family can look back at those pictures and whilst I personally won’t see the photo, others will and they will remember the good times we had. I take a lot of photos and get a lot of rubbish pictures but I also get a fair few good ones too. When I write my blogs later I always include some of the photos and we always make time to sit down and go through the photos as a family. I get them to tell me what is in the picture and then I rename the file with a brief description so I can look through them in the future and find ones I want. When I put pictures on my blog I always use the ALT field in the wordpress add media function which allows me to write some text that will be shown if either the picture is unavailable or if a user hovers their mouse over the photo. The main reason I do this though is that whatever text is in the ALT field will be read aloud by the screen reader programs that blind people use to enable them to use computers, so if visually impaired people read my blog they will be able to enjoy the photos too. 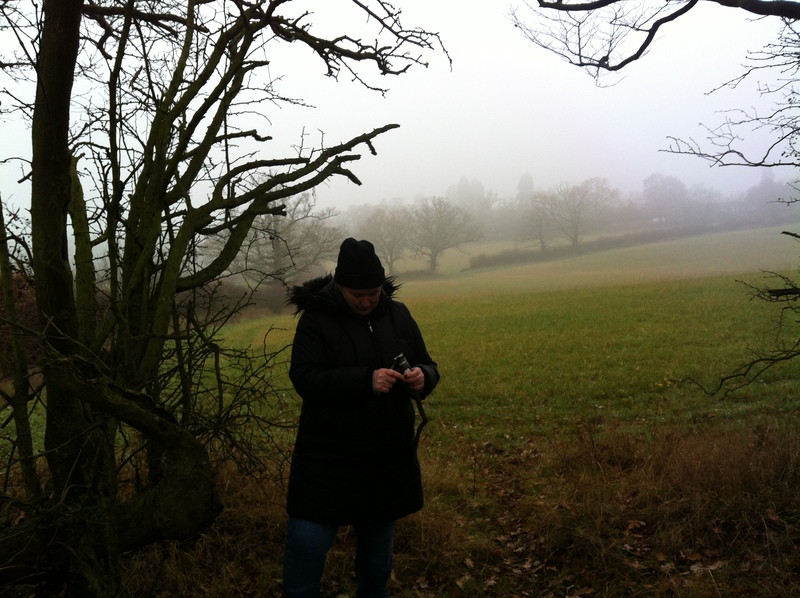 2013-12-12 Hatch End – Sharlene at cache 6. Sometimes I just get lucky. I knew it was foggy and hoped that the photo would be moody and it was. OCNA: After finding the caches, you have to do home and log them. Can you tell us about that process? Paul: Well the process is pretty much the same as for everyone. I log my finds on the caching site in the normal way. I can do this as I run a program called JAWS on my PC that will read out anything on my screen and whatever I type. With the screen reader software I can use regular programs such as Internet Explorer to browse the site and log the caches. To make my life a little easier I do use a voice recorder when out in the field to remind myself of the details of caches. When I am out doing a series, sometimes it is difficult to remember one hide from another when you get back home especially if I don’t get round to doing the logging for a couple of days. OCNA: What influenced you to document your Geocaching adventures via a blog? Had you blogged about other topics in the past? Paul: I love writing and have over the years always found ways to put it to good use. I like the idea of sharing the stories of our adventures with others, be them family or complete strangers. Washknight.wordpress.com is my first proper blog although I did write a weekly diary from the point of view of our son during his first 2 years which I hosted on a custom website that I built. I guess another reason for the blog is that I like maintaining the narrative of a whole days caching and whilst writing about your finds in your logs is great, it is only a snapshot of one part of a bigger picture. And yes… I love it when I get a ping on my iPhone saying that someone has liked a post or that I have a new follower! OCNA: Are you aware of any other legally blind Geocachers? Have you been contacted by any other visually impaired Geocachers via your blog? Paul: I did meet a guy at a local event who was partially sighted, but I haven’t heard of anyone else who is legally blind who geocaches although I have been contacted by a couple of organisations who were interested in possibly holding caching events for their visually impaired members but I am not sure if anything ever came of it. OCNA: Blogger or WordPress? (We ourselves changed from Blogger to WordPress after a year). Paul: WordPress. It is the most logical platform for anyone who is blind and wants to create a blog. Their site is the most accessible of all the blogging systems that I am aware of. Whilst I have this fantastic program called JAWS as I mentioned, nothing in life is perfect and most things in the access tech world are a compromise of what does work and what doesn’t. Some websites and software are designed well and present things in exactly the way that JAWS needs in order to be able to relate the information to me via speech. A lot of sites and programs on the other hand do not and this can be very frustrating. WordPress is one of the better ones and now that I have been blogging for just over a year I am quite comfortable with it. Excellent interview, thanks very much, Paul! Remember, you can click on any image in this post to see it full size in a lightbox window. 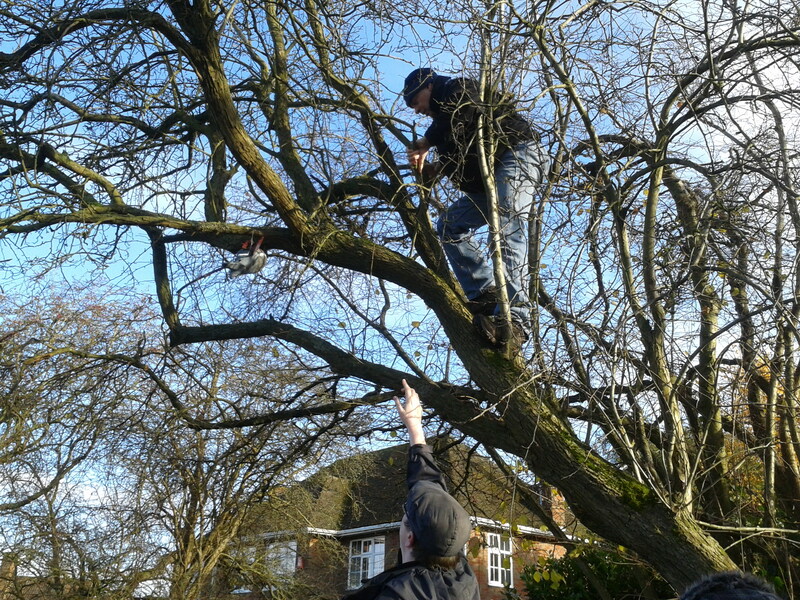 Be sure to check out Paul’s blog, WashKnight – Geocaching blind, regularly. It is one of the best personal Geocaching blogs we’ve ever seen, and there is plenty of content, with never a dull moment. Interested in doing the WashKnight Interrogation? It’s been a few weeks since one was posted as of the date of this blog post, but we’re sure he’d be happy to oblige if anyone is interested.